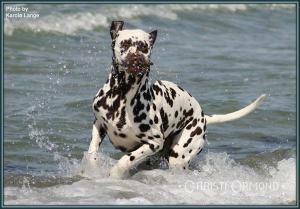 The exact story of the origin of the race Dalmatian is very controversial, and today is still partly in the dark. It will probably never be cleared up completely. Most likely, however, was the unusual white-black (brown), drawing a long time ago by a mutation, and was then promoted by selectively breeding. The origin of this attractive dog breed probably goes far back into antiquity. So is already on the grave stone of an Egyptian pharaonic tomb from the period dating back 2000th before christus the representation of a dog who looks similar a dalmatian dog. And also in the following era were again and again similar dogs presented in words and pictures, not only in paintings but also in travel reports from various region. In painting, they were presented mostly in hunting scenes and as companions of carriages. The designation "Dalmatian" appears incidentally the first time in Thomas Bewick's "History of quadrupeds" (History of the tetrapods) from 1771. 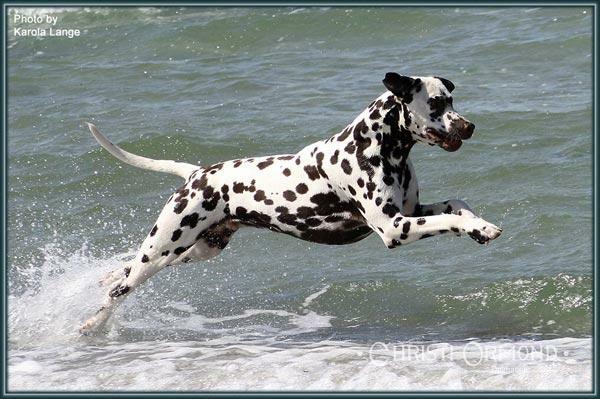 Today, it is believed that this breed in "Dalmatian" on the Adriatic coast, had its origin and was brought from there by sailors in other countries. Particularly appreciated was the Dalmatian dog being the companion for carriages of aristocratic families, not only as protectors but also because of his noble appearance. And especially in America, he was a companion from fire engines which were from horses drawn. While the dog were running barking ahead, he provided free transportation. No wonder that he is still today for some fire departments as a mascot serves. At the end of the 19th century the breed was very popular in England and so they have devoted intensely to their scheduled breeding. The world-wide replacement of the carriages through the car as well as the impact of war caused a serious decline in the population of Dalmatian dog breed. 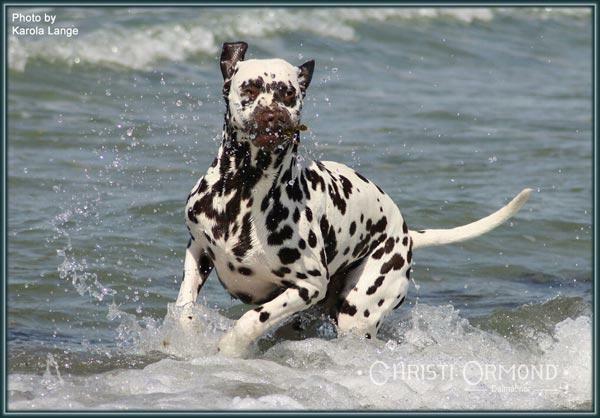 Only the dedicated efforts of English Dalmatian fans, it is owe that the breed is still today preserved and still enjoys great popularity in many countries. 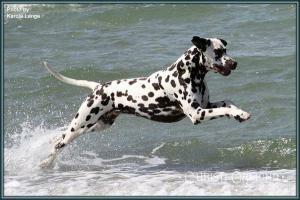 The Dalmatian is a breed who is in danger to coming into fashion. Since in this case too much breeding and breeding without thinking, this is for breed of dog always a disadvantage. Not infrequently, it also plays a role of profit, while keeping important properties such as good health and nice character and other things on the track. Therefore requires the breeding of Dalmatians great sense of responsibility and vision. This is the only way to preserve the dog breed and to be further improved. 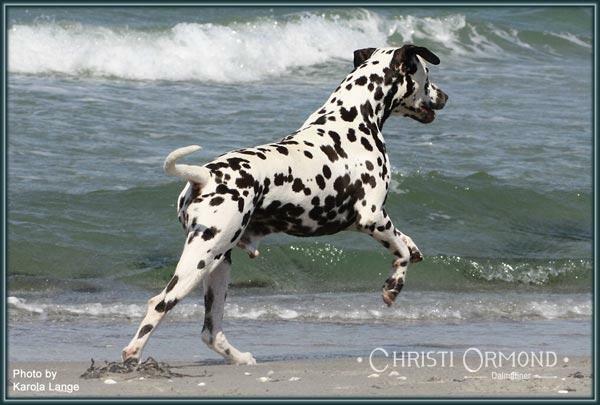 Therefore are in our breeding the breeding eligibility criteria judge objectively and critically, before we use a Dalmatian dog for breeding. Health and character are our top priority, because these properties have in the daily life a higher priority than appearance.